My Memory Art: Black & White Wednesdays ~ Bedazzled? 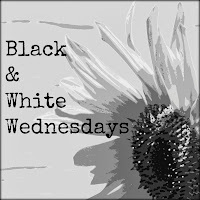 Black & White Wednesdays ~ Bedazzled? your Black & Whie photos. Wonderful dragonfla, so great in B/W. I like this photo, good work. No way, that is awesome! I have spotted several dragonflies whizzing by lately and wished they would just slow down (a/k/a - pose) so I could get a good picture. The coloring and sparkles - nature's bedazzle for sure. I do believe you are correct, it is totally bedazzled! I think it's pretty "dazzling." - Great lighting and wonderful bokeh. The details on the dragonfly really stand out well. The transparency of the wings is so beautiful! I like the lightness of the image! I like this! 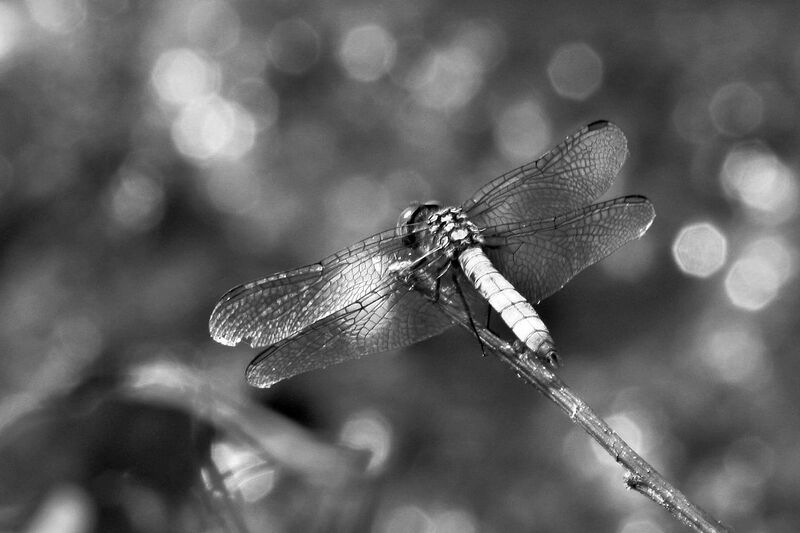 A beautiful macro shot in b&w!